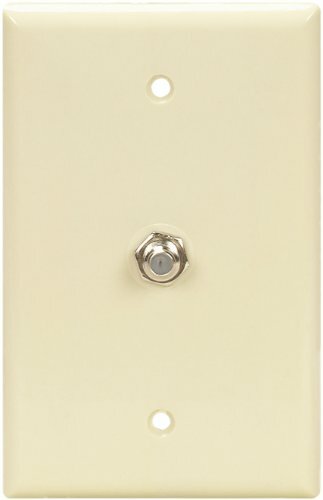 The Eaton 2072A-SP-L mid size flush mount wallplate with coaxial adapter are ideal for homes and offices, service connection points where are nearly as important as media distribution itself. This wallplates give the flexibility and style. For use in cat 3 RJ11, RJ14 and RJ25 applications. 100-percent computer tested to assure consistent high quality and reliable performance. Terminals and wire are color-notched for easy wiring. Coaxial adapters ideal for use with cable, satellite TVs, DVDs and outdoor antennas. cULus listed to UL1863, file no. E142334, FCC part 68 requirements. Available in almond color. Whether a home’s style is traditional, modern, casual, cozy or rustic, it will demand more from wiring devices than in years past. Eaton is dedicated to providing the up-to-date wiring device solutions; solutions that increase energy efficiency, increase productivity, promote safety at work and in the home, and produce reliable performance. Eaton is a trusted name in electrical products for over 175-years.